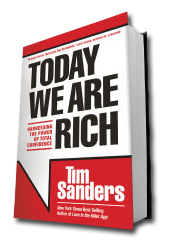 When I heard Tim Sanders was releasing a new leadership book called Today We Are Rich (Tyndale House Publishers), I immediately suggested an interview and he promptly sent me an unedited advance copy. The book starts with an amazingly positive story about his childhood with his grandmother, then migrates to a dark memoir about a portion of Tim’s life before migrating back to how that first positive story can demonstrate a framework for a positive life filled with happiness, purpose and accomplishment. The book is a highly emotional and personal journey about Tim’s relationship with his grandmother Billye and the lessons that he learned from her, one that I personally found highly enjoyable and thought provoking. The following is my interview with Tim Sanders about Today We Are Rich. The opening heartwarming story of your now 95 year old grandmother Billye giving a stranger in need a needed chance that taught you important life lessons. Due to economic disruptions over the past decade, many people could appreciate such a chance. Is this one of the reasons you wrote this book now? TIM SANDERS: I wrote the book in response to the fear I saw in people’s eyes in the Fall of 2008. Everywhere I went, it was like 1991 or 2001 all over again: Boom, crash, uncertainty, scarcity-think. I said to myself, “write your book on Abundance, tell Billye’s story!.” Much like Napoleon Hill did in the 1930’s I felt compelled to write about how we must cultivate confidence from the inside so when things fall apart, we can be the Phoenix and not the fodder. You discuss the subconscious mind as being larger than the conscious mind and how leveraging this can have positive impacts on our lives. I see similar patterns in my research on leadership. Could you please explain your research and why the conscious mind has limited room to operate? TIM SANDERS: When you face yourself, making eye to eye contact, the active mind connects with your below-the-surface consciousness – like two people staring each other down. Try it next time you rehearse a talk or a pitch, you’ll see what I mean. By combining a rehearsal with direct eye contact, I face my greatest critic: Me. If I can convince myself, then I have more confidence to project to others when it’s go-time. TIM SANDERS: First of all, good for you – that explains why your outlook is constructive and upbeat. You feed your mind good stuff. 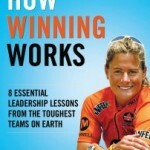 For your readers, I suggest they download the chapter and read it too – it’s really the foundation of my entire psyche (http://twar.com/free). The idea is simple: You should be as judicious about what you put into your mind as what you put into your mouth. Watch a bunch of cable, read gossip mags and hang out with negative people – and you’ll end up depressed and negative. You cannot avoid it any more than you can successful multi-task complex creative projects. You are only human. Here’s the takeaway: Positive thinking is not a prescription, it’s an outcome. You think positive because you load your mind up with good stuff. Your son Anthony went through a phase where he considered quitting his job as a “Genius” at the Apple store where he gets to sell the Macbook, iPad, iPhone to celebrities in Los Angeles. You helped him rediscover his gratitude, how can we all best rekindle our gratitude muscle? TIM SANDERS: It really depends on what you need to be grateful about. For Anthony, he needed some perspective on Apple, removed from the grit and mire of his present experience. So I took him to Staples, Home Depot and the DMV in a Scrooge like jobs of past, present and future. Rocked his world and he’s still at Apple. For some, it’s a daily requirement. I suggest that when you first wake up, instead of jumping on line and letting the world punch you with data, you should spend a few minutes itemizing what people have recently done for you and why. It’s a workout for your soul. 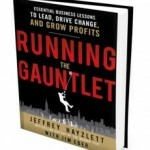 In one portion of the book you state that “Book readers are leaders. 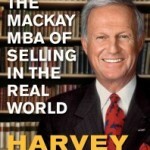 Many of the most successful executives that I know are voracious readers of books.” Is it the books or is it more the personal attribute of being a naturally curious lifelong learner that is the primary driver of your opinion? TIM SANDERS: Book readers dive in deeper to subjects than article or headline munchers. There’s a high barrier to entry, though, as most non-fiction and business books are quite dry in comparison to other media or entertainment options. Those that read six to ten relevant books a year are much more future-proof than the grazers of the world. They talk about more interesting things and riff more than people that only know what everyone else knows. You discussed eighteenth century philosopher Jean Jacques Rousseau, the author of The Social Contract, who stated “Those that are most slow in making a promise are the most faithful in the performance of it.” You then discussed how promises should deliver results just like a business. Are you suggesting that not enough people are taking their promises as seriously as they should? TIM SANDERS: Yes, we have little or no discipline about our promise making. If we spent our money like we issued promises, we’d likely go broke! I’ve learned to always measure my ability to deliver before I make the promise and not later, when it’s time to make excuses or apologies. This is important, though, because research we did for the Likeability Factor revealed that you are judged as a person of integrity by the little promises you keep or don’t keep. So protect your integrity, when you lose that in the eyes of others, you’ll lose it on the inside to. One thing that fascinated me while reading Today We Are Rich is how you so clearly told stories that were decades old! How in the world did you do recall them so vividly? TIM SANDERS: That’s one gift I’ve had all along – I can recollect experiences though meditation, reflection and discussions with families and friends. And I also think I was blessed too during this writing process with some much needed flow and inspiration. The book closes with a story of you making an extra effort to complete a task and how your schoolmates showed appreciation – even when you weren’t expecting it! What should we learn from this event? TIM SANDERS: When you finish what you start, especially when it’s hard or fruitless, you’ll turn your scoffers into supporters. I believe people are inherently loving, kind and generous. You can trigger that with grit and determination. The January, 1984, Annual of Psychoanalysis, vol. XII/XIII, Jerome A. Winer, Thomas Jobe, and Carlton Ferrono, “Toward a psychoanalytic theory of the charismatic relationship.” It discusses how great struggle builds foundations for charismatic leaders to emerge. Please discuss why you think this might be true and how people can best leverage that using Today We Are Rich? TIM SANDERS: Great struggles provide a foundation for a strong contrast in your narrative – like a great song posses the ‘whisper to a scream’ dynamic. If you’ve never had low lows, how can you truly illustrate soaring highs? If Carol Bartz was removed as Yahoo! CEO and the board of directors called you to explore having you be the next CEO, what would you think about replying to the gesture and what would your first action be? TIM SANDERS: A decade ago, I wanted that job. Loved Yahoo! so much I thought I could-must-should do it. But today, I know that I’m not the person for that job. It’s really hard, the P&L is massive and Google is quite a foe to catch up with or overtake.